This study explores the college choice process for Black gay males and what factors played significant roles in why they chose to attend either HBCUs or PWIs. Findings revealed that these students considered race and sexual orientation in different ways when deciding to attend either an HBCU or PWI. Implications for high school counselors and university administrators in understanding and supporting the college choice process of Black gay men are suggested. Bunting, A. (2013, April 7). Asking tough questions: College and LGBT applicant identification. Diverse: Issues in Higher Education. Retrieved from http://diverseeducation.com/article/52429/. Drezner, N. (2013, August 13). To alienate of to advance? Inside Higher Education. 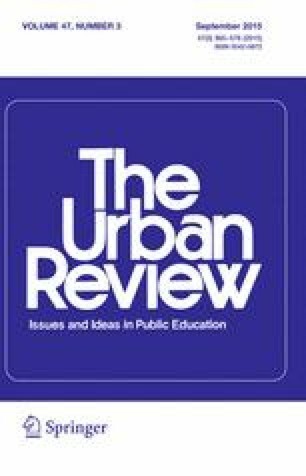 Retrieved from http://www.insidehighered.com/views/2013/08/13/essay-need-colleges-change-their-fund-raising-efforts-reflect-diversity-donors#. Jaschik, S. (2012, December 12). U. of Iowa will ask. Inside Higher Ed. Retrieved on http://www.insidehighered.com/news/2012/12/12/university-iowa-adds-optional-question-sexual-orientation. Johnson, T. R. (2013, April 15). How should colleges ask about students’ sexual orientation? The Chronicle of Higher Education. Retrieved from http://chronicle.com/blogs/headcount/how-should-colleges-ask-students-about-their-sexual-orientation/34363. King, A. S. (2010). The mean girls of Morehouse. Retrieved October 20, 2010, from http://www.vibe.com/content/mean-girls-morehouse. Morehouse College. (2009). Etiquette and general behavioral expectations. Retrieved from http://www.morehouse.edu/campus_life/student_conduct/pdf/MC-Etiquette-General-Behavioral-Expectations.pdf. Rankin, S., Weber, G. Blumenfeld, W., & Frazer, S. (2010). 2010 State of higher education for lesbian, gay, bisexual and transgender people. http://www.campuspride.org/. Squire, D. (2013, June 9). Where have all the queer students gone? The Chronicle of Higher Education. Retrieved from http://chronicle.com/article/Where-Have-All-the-Queer/139653/. The Tyler Clementi Foundation. (2012). Tyler’s Story. Retrieved from http://www.tylerclementi.org/. tytuniversity (2012, August 30). Are you gay? College application asks [Video file]. Retrieved from http://www.youtube.com/watch?v=Syz-aXgMuec. U.S. Department of Education Website. (2014). Retrieved August 23, 2014, from http://www2.ed.gov/policy/highered/leg/hea08/index.html. U.S. News and World Report (2014). U.S. News Best Schools. Retrieved from http://www.usnews.com/education. Windmeyer, S., Humphrey, K., & Barker, D. (2013). An institutional responsibility: Tracking retention & academic success of out LGBT students. Retrieved from http://www2.myacpa.org/an-institutional-responsibility/.